Home > News > Meet our 2018 National Tour champions! Meet our 2018 National Tour champions! The 2018 National Tour champions have been crowned. Yesterday James Mason and Jacquie Holmes put in phenomenal performances to claim compound glory. Today Bryony Pitman and Alex Wise battled difficult weather conditions to land the recurve titles. 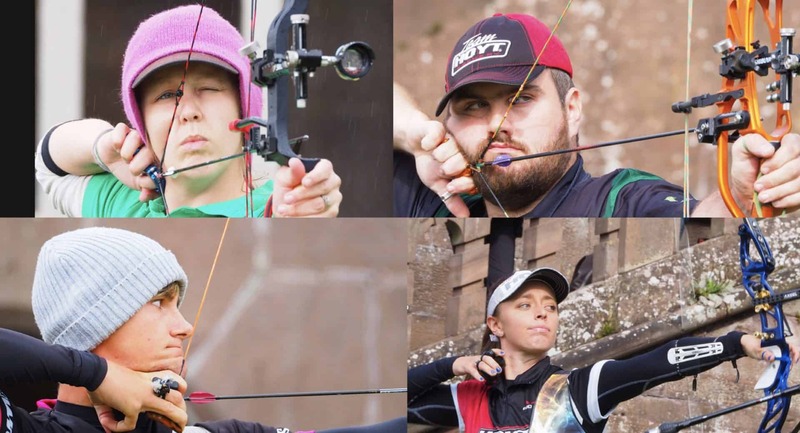 Finalists in the National Tour, formerly the National Series, came through qualifying stages at Lilleshall, Evesham, Surrey and Oxford in a bid to make it back to the spectacular backdrop of the Orangery at Lilleshall for the finals. The results were worth all their effort. Eighteen-year-old Alex was determined to make his mark and started with a 6-0 quarter final win over David Phillips – and followed that by beating Tom Hall 6-0 in the semis. His opponent in the gold medal match was Michael Judd, who had earlier ended Patrick Huston’s hopes of a fourth consecutive title. The stage was set for a classic but, as the wind picked up, victory was never going to be easy. Michael took first blood and tied the second but then Alex pulled back. As the wind strengthened he took the third by a single point and the last two sets 28-22 and 27-22 to take the title. Top seed Tom Hall was not going home empty handed either. He faced defending champion Patrick Huston in a hard-fought bronze medal match. As the advantage swung back and forth in worsening conditions it all came down to the last set. There was only one point in it but Tom claimed the medal with a 6-4 win. Bryony was delighted with her win – especially as it came against four-time Olympian and three-time National Series champion Naomi Folkard. Her campaign started with a 6-0 win over Ruth Welsh, followed by a 7-1 victory over Eleanor Piper. Coach Naomi showed her student Alyssia Tromans-Ansell how it’s done in the quarter finals, beating her 7-1, then defeated Yulia Larkins 6-0. As the wind picked up, Bryony took first blood in the title match. Naomi hit back with a perfect 30 but, from that point, the top seed took control to secure a 6-2 win. The bronze medal match was equally dramatic. It was nip and tuck all the way as Eleanor Piper took on Yulia Larkins. The match ended in in a 5-5 tie and that meant a shoot off. Eleanor hit the seven but Yulia’s arrow flew straight into the nine, giving her victory. 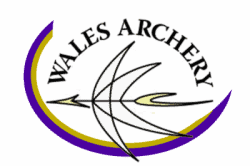 You can watch the National Tour recurve finals here. Yesterday, top compound seed James Mason was not going to let anything stand in the way of securing his first National Tour title. He saw off 17-year-old Matthew Wong and two-time winner Chris White to face another two-time victor, Neil Bridgewater, in the final. Neil had beaten Stuart Taylor and 16-year-old Adam Carpenter – who saw off defending champion Adam Ravenscroft in the quarter finals. James went one point ahead in the first end, shooting a perfect 30, held the advantage in the second and gradually built up his lead to take the title with a 147-144 win. The bronze medal went to Chris White who beat Adam Carpenter in a dramatic shoot-off. The women’s competition was every bit as thrilling. Evesham Archer Jacquie beat Layla Annison and Lucy O’Sullivan in a shoot-off to face defending champion Sarah Prieels who had, in turn, defeated Kirsty Robb 146-134 and Jodie Grinham. Jacquie took first blood, shooting a perfect 30 to go one ahead of the top seed, and doing it again in the second. Both archers shot 29 in the third and Sarah pulled one back in the fourth. It all came down to the last end when both archers shot 10-9-9 – giving Jacquie the title in her first National Tour final. The bronze medal went to Lucy O’Sullivan who beat Jodie Grinham in a tense shoot-off. You can see all the National Tour compound finals action here. The event also played host to this year’s Key Event finals, a fitting showcase for the next generation of rising stars. Hannah Rowley took the women’s recurve cadet title in style today. The fourth seed edged Penny Healey out in the quarter finals then beat top-ranked Thea Rogers 7-3 to stake her title claim. She faced Ruby Paul, who had seen off Sophie Castle 6-0 and Megan Bryer 7-1. Hannah took an early lead and, although Ruby fought back in the third, it was not enough and Hannah took the crown with a 6-2 win. The men’s cadet title went to Marco Costanza who beat Thomas Susca in one shoot-off and Jakob Barrett-Rees in another. His opponent was top seed Jacob Reid who had defeated James Woodgate 6-4 then Youth Olympian Dan Thompson 7-1. If shoot-offs had become a theme of Marco’s day, the gold medal match was not going to be any different. The match ended in a tie, forcing the shoot-off. Jacob hit the nine but Marco’s arrow was nine-starred, giving him the title. You can see the National Tour recurve quarter finals and Key Event finals here. Yesterday, Ella Gibson proved exactly why she was the junior compound top seed. She defeated Paige Jones 144-133 and Grace Chappell 144-137 to set up a gold medal showdown with Holly Clifford, ranked second. Holly, who had seen off Chloe A’Bear 140-136 and Iulia Petre 143-134, took an early lead but Ella pulled back to take the title with a 144-140 win. Iulia went on to win bronze, beating Grace 135-125. The junior men’s title also went to the top seed, Lewis Haslam. He beat Thomas Lane 144-132 and Liam Wright 142-141 to earn his title shot. His opponent was Liam Peake who saw off Dru Ridding 144-132 and Nathan Thomas 143-142. Liam led in the first two ends but Lewis fought back to pull level in the third and draw ahead for a 143-140 win. Nathan beat Liam 140-138 in the bronze medal match. You can see the Key Event compound finals here. To find results from all the National Tour and Key Event finals click here.